I think of my parents (40 years of love!) when I think about gifting a well-made, woven blanket to a newly married couple. There are throw blankets in my childhood home that they've had for years, probably as far back as their wedding. 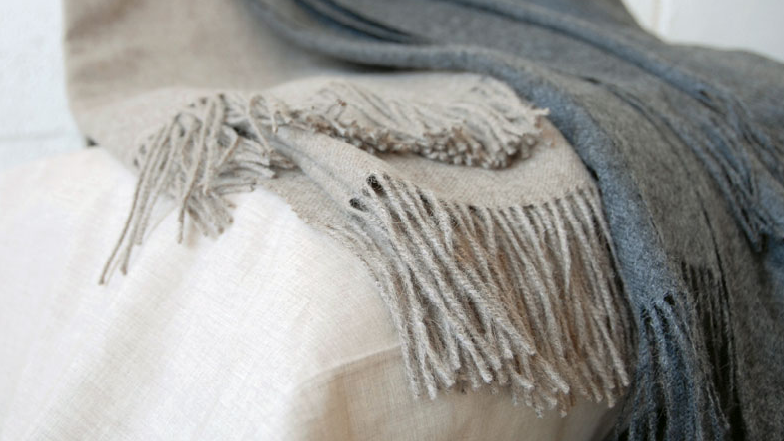 Area is a New York based company that uses all natural fibers and original designs in their bedding and accessories. Their blankets range in pricing anywhere from about $180 to $350 each. You can shop online at arealinenshop.com to view their broad selection.